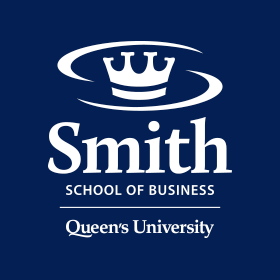 Campus Connect from Queen’s School of Business ranked the top spot for Canadian teams participating in the 21st annual Queen’s Entrepreneur’s Competition – the largest international undergraduate business plan competition to take place in Canada. The competition brings top students from around the world to Kingston where they pitch innovative ideas to recognized business leaders in the hopes of receiving investment grants. Last November written proposals arrived from as far as India, Portugal, Malaysia, Britain and the Philippines. Judges narrowed the pool to 16 teams that were invited to Queen’s School of Business January 22-24 to compete in front of an elite panel of established entrepreneurs, venture capitalists and business professionals including Brett Wilson (Dragon on CBC’s The Dragon’s Den), Dan Rees (Vice President of Scotia Capital), and Tim Wilson (President of Visa Canada) for the top three cash prizes of $15,000, $6,000 and $2,000. Campus Connect placed second behind mCaddie, from the University of Maine, and as the top-ranked Canadian team will have the opportunity to pitch their idea to the Dragons on the hit show Dragon’s Den during the 2009 season. Outside of the cash prizing, all 38 competitors involved in the weekend received industry experience and advice from 30 business professionals— a tremendous networking opportunity with a ratio of almost one competitor to one judge.